If you’ve seen a specialist in the private health sector, you’ll likely know the pain of out-of-pocket or “gap” costs. They’re the fees charged by a medical specialist, minus the Medicare rebate and — if you have private health insurance — whatever your health fund is willing to cover. What you pay varies greatly depending on who you see, which hospital you attend, and your policy and excess. But the costs can be significant, and make people wonder why they bother with private health insurance in the first place. Why do some of us end up hundreds or sometimes thousands of dollars out of pocket? In Australia, about 85 per cent of GP visits are bulk-billed. Seeing a specialist, on the other hand, tends to more expensive — the rate of bulk-billing is much lower, at about 30 per cent. The government, through the Medicare Benefits Schedule, provides a variety of subsidies to reduce the cost burden on patients seeing private specialists. These benefits are based on a list of standard fees for medical services — the so-called “schedule fees”. For out-of-hospital services (including consultations with specialists in their rooms), the Medicare rebate is 85 per cent of the schedule fee. Unless your specialist visit is bulk-billed, you’ll be left to the pay the difference between the amount you are reimbursed from Medicare and the original schedule fee. That’s because private health insurance doesn’t cover medical services that are provided out of hospital and covered by Medicare (such as specialist visits, diagnostic imaging and tests). For in-hospital services, such as elective surgery, the Medicare rebate is 75 per cent of the schedule fee. If you have private health insurance hospital cover, this gap cost — between the rebate and the schedule fee — is usually covered. Because most clinical services outside of public hospitals operate as private markets, specialists are free to charge what they like — and they do. Their fees are often well above the MBS’ schedule fees, and may be more in line with Australian Medical Association’s list of suggested fees — or higher. This means the gap payment (between what the specialist charges and what Medicare covers) can be significant — hundreds or sometimes thousands of dollars. This is where people can get stung with hefty out-of-pocket costs. Doctors’ fees for in-hospital procedures and surgeries may be covered by private health insurance in some cases, but not all. Often it depends on your insurance policy, and the agreements your private health fund has with specialists and private hospitals. In addition to doctors’ fees, some specialists also charge what’s variously known as a “booking” or “administration fee”. This is a non-refundable, out-of-pocket flat fee to see the specialist, which is sometimes charged in advance of seeing them. This fee is on top of the payment they receive from you or your health fund to cover the gap costs, and is not covered by insurance. For many people, their final out-of-pocket costs may not become clear until months after their treatment. Their bill may include costs for multiple doctors, including surgeons, anaesthetists, pathologists and radiologists. What about no- and known-gap policies? Many health insurers offer “no-gap” and “known-gap” policies. The idea is to reduce or eliminate the gap payment between what Medicare and your health fund covers and what your specialist charges. Often, specialists negotiate with private health insurance funds to deliver no-gap or known-gap services to privately insured patients. However, not all doctors participate in these schemes. When accessing a no- or known-gap scheme, it’s important to check the requirements of the policy. Earlier this year, health insurance company Bupa overhauled its medical gap scheme, so that from August, insured patients are only be eligible for gap cover if they are treated at a Bupa-contracted hospital. It is also important to remember that “gap cover” may only apply to your doctor or specialist’s fees, and not to potential out-of-pocket hospital costs (for things like accommodation, equipment or prosthetic devices). To work out whether your health insurance covers you for all or part of the gap, find out the details of the doctors and hospitals they have agreements with. The out-of-pocket payments patients make to specialists vary significantly in Australia, both within a given discipline and depending on where the doctor is located. 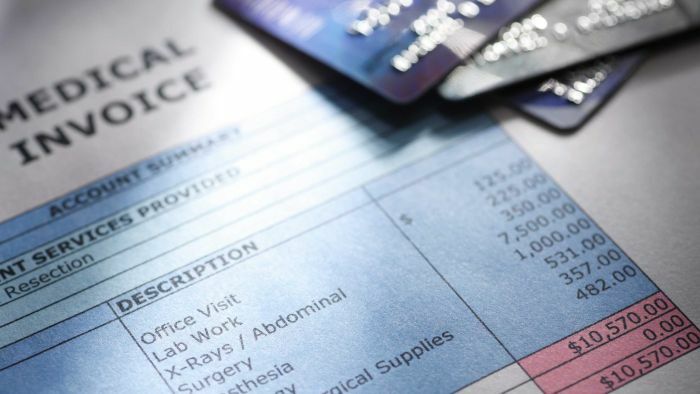 A report published in the Medical Journal of Australia earlier this year found out-of-pocket costs can vary by up to 400 per cent within one speciality. One of the reasons for this may be that specialists charge higher premiums in locations where there is a high demand for their service, and a shortage of specialists who can deliver it. Another reason for high fees may be that some specialists benefit from established referral patterns from local GPs or hospitals, so they have little incentive to keep their prices competitive, according to health economist at the Grattan Institute health economist Stephen Duckett. “‘People trust their GP generally, and when their GP refers them to a particular specialist, they think that person must be the best specialist,” Professor Duckett said. Then there are specialists who charge a supposed skill-based premium. “‘Some doctors say the reason they charge a lot of money is because they’re better than all the other doctors,” Professor Duckett said. Indeed, the authors of the MJA report found the fee variations Australians pay are not based on any objective information about the quality of care by individual doctors. In other words, seeing a specialist because they charge higher fees does not guarantee better quality of care. “‘If we’re going to have a market for specialists’ services which we have … then we ought to have better information to allow the private market to work,” Professor Duckett said. Watch Dr Norman Swan’s investigation, Mind the Gap, tonight on Four Corners.